SKU: MS644114CEFG. Categories: Toilets, toto, Bathrooms, One Piece Design, Residential. Tags: carolina II, MS644114CEFG, toilet, toilets, toto carolina, toto carolina 2, toto carolina II, toto toilet, toto toilets, toto. The one-piece high-efficiency double cyclone flushing system toilet will be 1.28GPF/4.8LPF. Toilet has optional SanaGloss ceramic glaze and Universal Height. 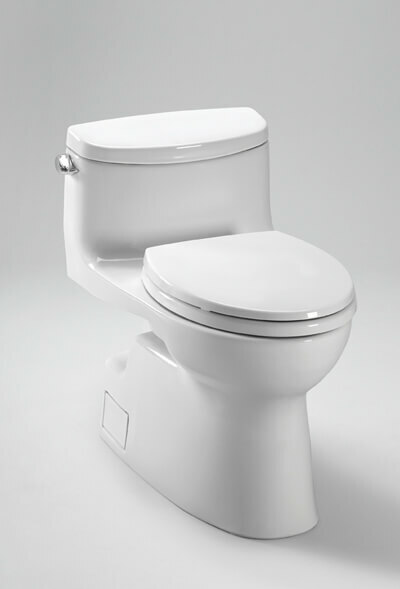 Toilet shall have low-profile tank, elongated front bowl with SoftClose seat and Chrome trip lever.